Take a break from San Diego with a short trip to Self Realization Fellowship Hermitage & Meditation Gardens in Encinitas, about 46 minutes away. 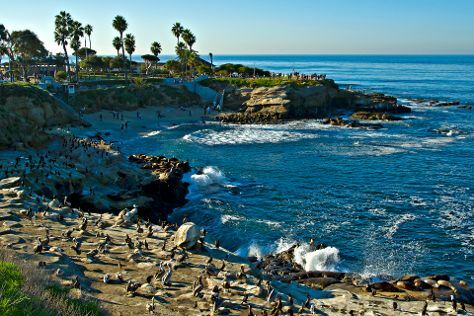 The adventure continues: meet the residents at San Diego Zoo, admire the natural beauty at Botanical Building and Lily Pond, let the kids burn off some steam at Balboa Park, and stroll through La Jolla Cove. For traveler tips, ratings, where to stay, and other tourist information, you can read our San Diego trip itinerary builder tool . In June, daily temperatures in San Diego can reach 73°F, while at night they dip to 64°F. Cap off your sightseeing on the 12th (Wed) early enough to travel back home.